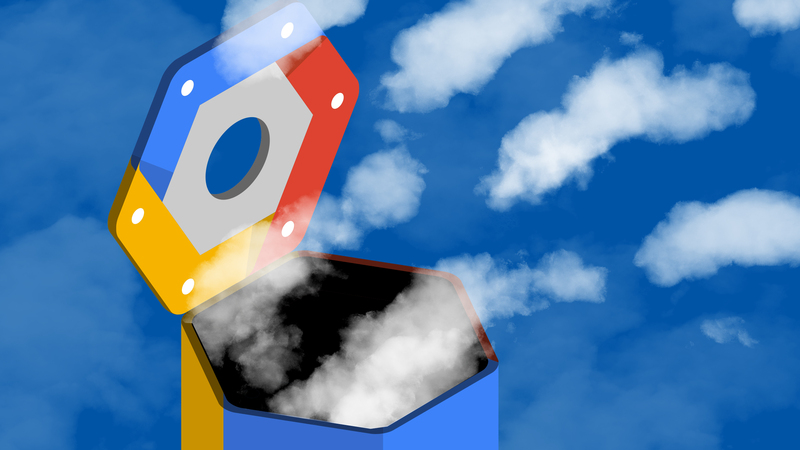 With its Kuberntes Engine (GKE), Google Cloud Google has long offered a managed service for running containers on its platform. 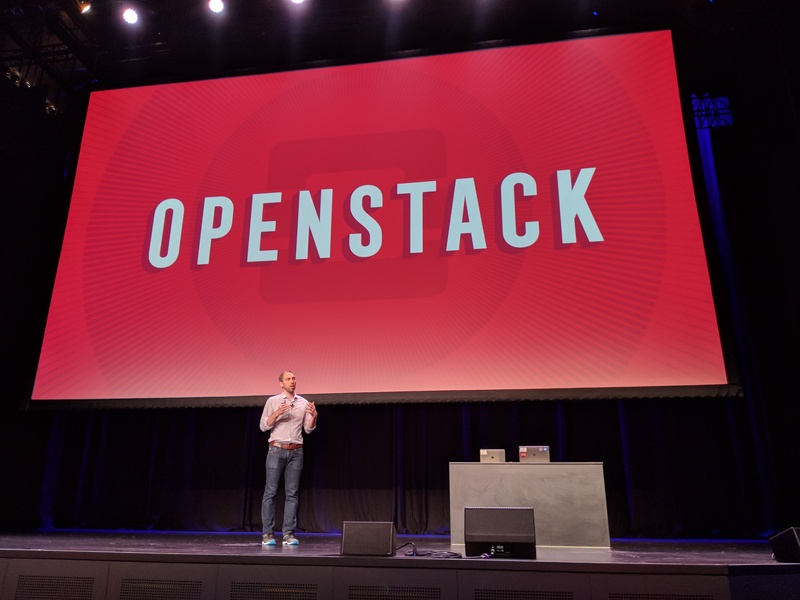 Kubernetes users tend to have a variety of needs, but so far, Google only offered a single tier of GKE that wasn’t necessarily geared toward the high-end enterprise users the company is trying to woo. Today, however, the company announced a new advanced edition of GKE that introduces a number of new features and an enhanced financially backed SLA, additional security tools and new automation features. You can think of GKE Advanced as the enterprise version of GKE. For enterprise customers, the financially backed SLA is surely a nice bonus. The promise here is 99.95% guaranteed availability for regional clusters. In addition to these new GKE Advanced features, Google is also adding existing GKE security features like the GKE Sandbox and the ability to enforce that only signed and verified images are used in the container environment. The Sandbox uses Google’s gVisor container sandbox runtime. With this, every sandbox gets its own user-space kernel, adding an additional layer of security. With Binary Authorization, GKE Advanced users can also ensure that all container images are signed by a trusted authority before they are put into production. Somebody could theoretically still smuggle malicious code into the containers, but this process, which enforces standard container release practices, for example, should ensure that only authorized containers can run in the environment. GKE Advanced also includes support for GKE usage metering, which allows companies to keep tabs on who is using a GKE cluster and charge them according. Yesterday, Salesforce .com announced its intent to buy its own educational/non-profit arm, Salesforce.org for $300 million. On its face, this feels like a confusing turn of events, but industry experts say it’s really about aligning educational and non-profit verticals across the entire organization. Salesforce has always made a lot of hay about being a responsible capitalist. It’s something it highlights at events and really extends with the 1-1-1 model that it created, which gives one percent of profit, time and resources (product) to education and non-profits. Its employees are given time off and are encouraged to work in the community. Salesforce.org has been the driver behind this, but something drove the company to bring Salesforce.org into the fold. Brent Leary, principal and co-founder at CRM Essentials says it’s also about keeping that charitable focus front and center, while pulling that revenue into the Salesforce.com revenue stream. “It seems like doing good is set to be really good for business, making it a potentially very good idea to included as part of Salesforce’s top line revenue numbers, Leary said. For many, this was simply about keeping up with Microsoft and Google in the non-profit space, and being part of Salesforce.com makes more sense in terms of competing. “I believe Salesforce’s move to bring Salesforce.org in house was a well-timed strategic move to have greater influence on the company’s endeavors into the Not for Profit (NFP) space. In the wake of Microsoft’s announcements of significantly revamping and adding resources to its Dynamics 365 Nonprofit Accelerator, Salesforce would be well-served to also show greater commitment on their end to helping NFP’s acquire greater access to technologies that enable them to carry out their mission,” Daniel Newman, founder and principal analyst at Futurum Research said. But not everyone sees this move in a positive light. Patrick Moorhead, principal analyst and founder at Moor Insights and Strategies, says it could end up being a public relations nightmare for Salesforce if the general public doesn’t understand the move. Salesforce could exacerbate that perception, if it ends up raising prices for non-profits and education. “Salesforce and Benioff’s move with Salesforce.org is a big risk and could blow up in its face. The degree of negative reaction will be dependent on how large the price hikes are and how much earnings get diluted. We won’t know that until more details are released,” Moorhead said. The deal is still in progress, and will take some months to close but if it’s simply an administrative move designed to create greater efficiencies, it could make sense. The real question remains is how this will affect educational and non-profit institutions as the company combines Salesforce.org and Salesforce.com. Salesforce yesterday announced a move to reposition how it provides software to and works with non-profits like educational institutions and charities: the company announced that it would integrate Salesforce.org — which had been a reseller of Salesforce software and services to the nonprofit sector — into Salesforce itself as part of a larger, new nonprofit and education vertical. The new vertical, in turn, will be led by Rob Acker, the current CEO of Salesforce.org. As part of the deal, Salesforce said it would pay $300 million in cash for all shares of Salesforce.org. The latter had existed as a California public benefit corporation, and now it will be converting into a California business corporation. Salesforce said that the $300 million, in turn, will be distributed to another independent public benefit corporation called the Salesforce.com Foundation, which will use it for philanthropic purposes. Salesforce will be making further contributions to the Foundation, but did not specify the amount. Salesforce also said that the combination will add between about $150 million and $200 million to the company’s full-year revenues, depending on when the deal closes. Salesforce.org had been a vehicle for the company to provide nonprofits, educational institutions and philanthropic organizations free or very discounted licenses to use its software, to the tune of some $260 million in grants distributed to over 40,000 organizations. Salesforce will continue that practice, but now that effort, it seems, will come in line with a bigger business operation in which Salesforce will also develop and sell commercial software and services as well. The new organization will include sales, marketing and the company’s Salesforce Customer Success Platform tailored for the nonprofit and education communities, and all future development of the company’s Nonprofit Cloud, Education Cloud and Philanthropy Cloud vertical applications. Education, nonprofits and philanthropy might not be the most lucrative sectors that come to mind when you think of enterprise IT, but by virtue of their sheer size and ubiquity, and the fact that these organizations also very much need better technology to operate better, there is a big opportunity. Some of that will firmly never catapult into the world of big money — and nor should it, in my opinion — but as Newsela and its backer TCV, and Microsoft, identified recently, schools are still big buyers of IT, and the same goes for other nonprofit and philanthropic organizations. I’m not sure how Salesforce will bring the different sides of the business together, but it makes sense for the company to at least think of them in a more cohesive way, providing financial help where it’s needed and selling where it is not. The design world is in a state of full-fledged competition. Never in history have designers and their respective teams had so many options to choose from. As both demand and supply grow, design players are working to build out the most comprehensive experience possible for their users. Adobe, the incumbent in the space, is today launching the Adobe Creative Cloud Plugin Accelerator. Essentially, individuals and teams interested in taking some time to build out plugins for Adobe XD can get themselves three months at Adobe’s HQ, access to Adobe’s product, design and engineering team, as well as a $20K per person stipend to offset expenses. To be clear, Adobe is not taking equity in these projects and participants will leave Adobe HQ with 100 precent ownership over their built IP. The Adobe Creative Cloud Plug-in Accelerator is supported by Adobe’s Fund for Design, a $10 million venture fund launched in May 2018. Both the fund and the accelerator are meant to open up Adobe, which has historically been a more closed ecosystem. It was less than a year ago that Adobe opened up Adobe XD to integrate with other tools, such as UserTesting and Airtable, among others. Vinh says that, for now, Adobe isn’t sure exactly how many teams or individuals it will accept into the accelerator. As it’s the first time the company has done something like this, it’s not adhering to a specific number of participants or a rigid curriculum. Vinh says that some teams might have a clear vision of what they’re building and simply seek one-to-one advice from the engineering or product teams, whereas others might want a more collaborative environment to brainstorm and build out the idea itself. One thing that is clear, however, is that Adobe is looking for hyper early-stage projects. The hope is that teams of one to three will have the chance to build great plug-ins for Adobe XD, making the platform more attractive to clients as Figma and InVision make a run for those same users. Adobe isn’t the first design tool firm to launch a venture fund. InVision launched the $5 million Design Forward Fund in late 2017. Folks interested in the Creative Cloud Plugin Accelerator can apply here. Move over, Flexport. There is another player looking to make waves in the huge and messy business of freight logistics. Zencargo — a London startup that has built a platform that uses machine learning and other new technology to rethink how large shipping companies and their customers manage and move cargo, or freight forwarding as it’s known in the industry — has closed a Series A round of funding of about $19 million. Zencargo’s cofounder and head of growth Richard Fattal said in an interview that the new funds will be used to continue building its software, specifically to develop more tools for the manufacturers and others who use its platform to predict and manage how cargo is moved around the world. The Series A brings the total raised by Zencargo to $20 million. This latest round was led by HV Holtzbrinck Ventures. Tom Stafford, managing partner at DST Global; Pentland Ventures; and previous investors Samos, LocalGlobe and Picus Capital, all also participated in the round. Shipping — be by land, air or sea — is one of the cornerstones of the global economy. While we are increasingly hearing a mantra to “buy local”, the reality of how the mass-market world of trade works, is that components for things are not often made in the same place where the ultimate item is assembled, and our on-demand digital culture has created an expectation and competitive market for more than what we can source in our backyards. For companies like Zencargo, that creates a two-fold opportunity: to ship finished goods — be it clothes, food or anything — to meet those consumer demands wherever they are; and to ship components for those goods — be it electronics, textiles or flour — to produce those goods elsewhere, wherever that business happens to be. Ironically, while we have seen a lot of technology applied to other aspects of the economics equation — we can browse an app anytime and anywhere to buy something, for example — the logistics of getting the basics to the right place are now only just catching up. Alex Hersham, another of Zencargo’s co-founders who is also the CEO (the third is Jan Riethmayer, the CTO), estimates that there is some $1.1 trillion “left on the table” from all of the inefficiencies in the supply chain related to things not being in stock when needed, or overstocked, and other inventory mistakes. Fattal notes that a lot of what Zencargo is not only trying to replace things like physical paperwork, faxes, and silos of information variously held by shipping companies and the businesses that use them — but the whole understanding and efficiency (or lack thereof) that underlies how everything moves, and in turn the kinds of businesses that can be built as a result. Zencargo is just getting started on that. Flexport, one of its biggest startup competitors, in February raised $1 billion at a $3.2 billion valuation led by Softbank to double down on its own freight forwarding business, platform and operations. But as Christian Saller, a partner at HV Holtzbrinck Ventures describes it, there is still a lot of opportunity out there and room for more than one disruptor.